I've never seen this credit before. Q: What is a format? And what format is the show based on? Medina [a music producer] and his partner Pollack were the creators, who first pitched the idea to Quincy Jones. Jones was the one who took it to the network. The show was then basically taken out of the hands of the creators, leaving that credit. Medina was indeed the original 'fresh prince' - it was his own life story. 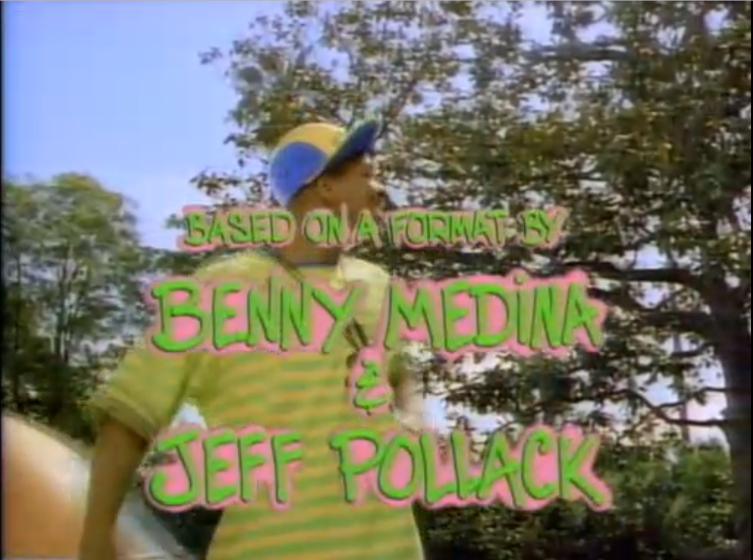 Reddit - What does the "based on a format by" credit mean in The Fresh Prince of Bel-Air? In Hollywood, the term "based on a format" means the show (or movie) follows a specific chain of events. For instance, The Taken film franchise featuring Liam Neeson is based on a format where the main character's loved one gets kidnapped, he kills a bunch of bad guys, he meets the "big boss" and retrieves his loved one. The "format" in The Fresh Prince of Bel-Air is always the same; Will gets in trouble, Will gets redeemed (there is more minutia than that, but it's been a while since I watched it). That's what "based on a format" means in Hollywood. Not the answer you're looking for? Browse other questions tagged credits the-fresh-prince-of-bel-air . Why did Will Smith use his actual name in The Fresh Prince of Bel-Air? Besides the Season 5 premire, have there been any other post credit scenes in The Walking Dead? In the opening credits of a TV show, why do some people get an “and” before their name? Was Carlton Banks actually short?